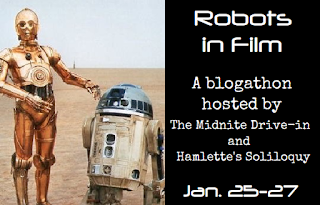 This is my final of 3 entries in the Robots in Film Blogathon being hosted by Hamlette of Hamlette’s Soliloquy and Quiggy of The Midnite Drive-In. Brief Synopsis – In the near future, a down on his luck former boxer tries to earn a living by controlling robots in boxing matches until he gets custody of his estranged son which changes his whole life. My Take on it – This is a film that I really enjoyed both times that I saw it largely due to the fact that they envelope the story within a realistic near future instead of trying to turn this into a futuristic sci-fi film. This helps keep things plausible the whole time and with the advancement n technology since this film was made 8 years ago, it seems even more realistic than one might have thought back when it was made. Hugh Jackman is great in the lead here (as he almost always is) and brings something quite fresh and interesting to this role. His character has a great arc over the course of the story and he makes us believe the way that his character evolves from start to finish. This film is filled with lots of fun moments that compliment the poignant ones and instead of making this film like a “regular” boxing film, they take it to another level since it has so much more to offer. The films special effects are done in a real subtle way that helps move along the story while also keeping this close to the technology we have today. I’m so glad that they decided not to go in the direction of making an AI character and were able to keep the story grounded in a genuine setting that could realistic occur in the near future instead of relying on futuristic sci-fi ideas. Bottom Line – Interesting premise that works because it takes place not so far in the future and feels quite plausible. Jackman is great on the lead (as always) and is able to bring something fresh and interesting to this role. He manages to have a nice character arc throughout the story and we feel him changing as the stakes get higher and higher. They are able to inject a lot of fun into this idea and it doesn’t come across as another “regular” boxing movie because it has so much more to offer. The special effects are done really well and help make things feel real the whole way through. I’m glad they didn’t try to go the AI route in this film and kept the story feeling genuine and realistic as if it could occur within the near future. Recommended! I will totally check this out, I missed it when it first came out. Big Hugh Jackman fan here, and this looks promising! 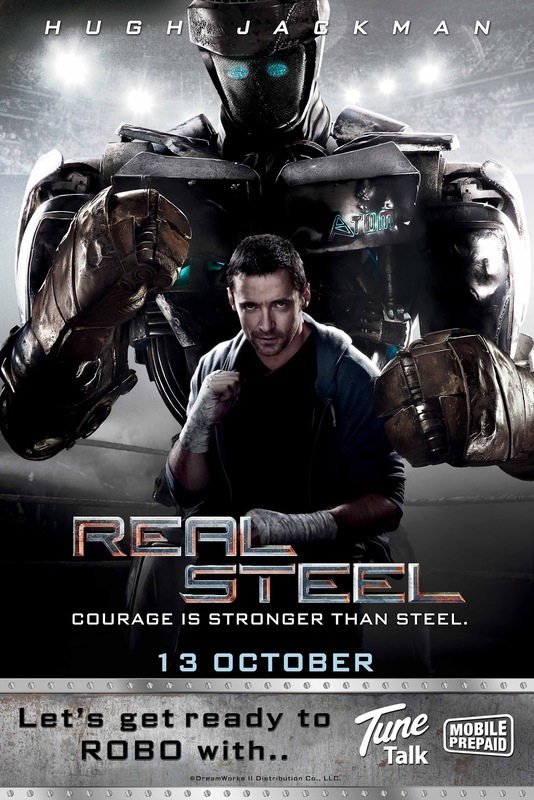 It’s very strange that I haven’t seen this yet because Hugh Jackman is my favorite modern movie star. And I even own a copy of it, but I just never seem to get around to watching it. Partly because I’ve always been a little worried it might be cheesy, but you’re allayed that fear of mine, so I’m bumping this way up my watchlist now! Thanks!